Aereo can turn the fame it gained from its lost Supreme Court case into a vibrant (and legal!) business by becoming a hardware company. Earlier in the summer, the Supreme Court of the United States decided that Aereo, the free over-the-air broadcast TV service, violated the Copyright Act. Shortly after, the company suspended its service and has since been trying to stay alive. It’s now been over a month since Aereo’s last communication with the public about its attempts in lower court. While Aereo seems to still be on a hopeless mission to “protect” your antenna, it’s missing a huge opportunity to continue to innovate the television industry with the brand equity they built through their Supreme Court fight. When the Supreme Court heard Aereo’s case in April, the company rose from obscurity and ended up on the front page of major news outlets. Aereo’s major appeal was never just the ability to access over-the-air TV content, but the ability to easily DVR it to view across devices in the cloud. By the time Aereo had lost, it didn’t talk much about the consumer demand for cloud DVR technology. Parks Associates, the International Market Research firm recently released a report showing that “over 45 percent of US pay-TV subscribers find cloud DVR technology very appealing.” The research also pointed out that the Aereo case “left licensing for cloud DVR rights largely unaffected,” essentially paving the way for innovation to happen. After Aereo lost, other obscure companies started gaining attention as consumers and journalists scrambled to highlight replacements. Here’s what Aereo should be doing based on the success of these other companies. Mohu, a North Carolina-based startup that launched in 2011 has made a name for itself by providing TV watchers with high definition indoor antennas. The aftermath of the Aereo case has continued to help its business. The company’s success as an antenna provider has recently has allowed the team to develop more products for the cord-cutting movement. It recently launched “Mohu Channels,” which allows viewers to turn any website or app into a channel. There’s also a built-in DVR functionality for up to 30 minutes, and Buff says that there will probably be more DVR functionality on the company’s roadmap. “If I were [Aereo], I would definitely be looking into alternatives to leverage that demand,” Buff adds. A major option on the market to easily DVR free over-the-air TV is Simple.TV. Originally a Kickstarter funded in 2012, Simple.TV allows you to use its device, an antenna and a hard drive to easily DVR content and access that content across platforms. 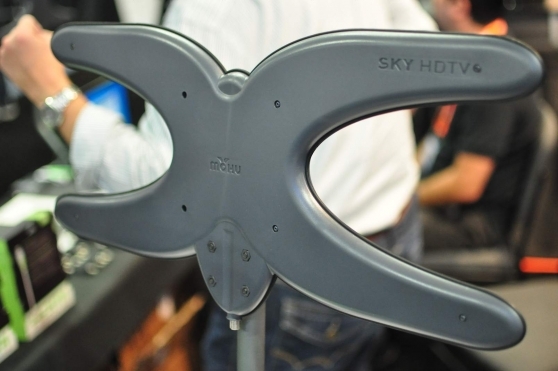 Simple.TV partners with SiliconDust, a TV tuner company, to build its hardware. Then, as a company, it focuses on the software and services. CEO Mark Ely describes the service it provide as “having your own personal Hulu” that complements devices like Roku and Apple TV. Ely agrees that “there’s been a bit of a renaissance with the antenna” since Aereo came into the spotlight. Simple.TV has also seen an increase in sales as a result of the Aereo case. “We definitely had a lift of sales in the wake of Aereo,” Ely says. “Because of the Aereo news, consumers are realizing that ‘Wow, this is an option, let me see who else can do this.’” Simple.TV has also taken advantage of the situation by offering a special deal to Aereo customers on the top of its homepage. One of the oldest ways to DVR free over-the-air TV has been through TV tuner devices that let you connect an antenna or cable box to your computer. Elgato, a German based company founded in 1992, used to be one of the main manufacturers of these devices for Mac. While this option seems to be the least popular and least likely to take off, it’s still an extremely easy replacement to something like Aereo which provided the kind of limited variety Felber mentioned. 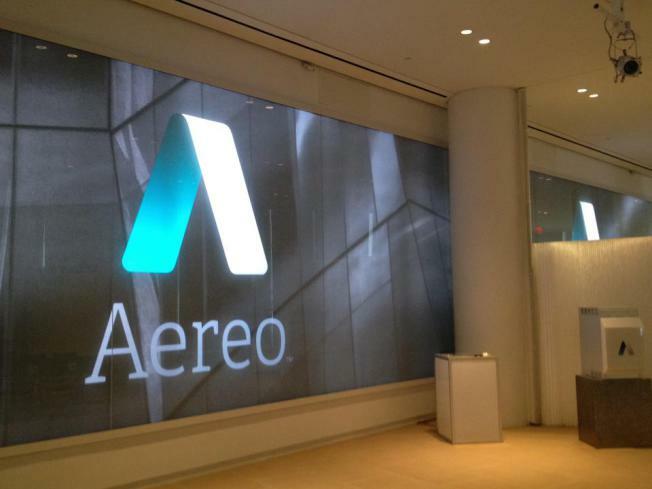 Why isn’t Aereo capitalizing on all this opportunity in the market place? The truth is, it just might be. As the company prepares for its next chapter, CEO Chet Kanojia has yet to comment on our story. As Aereo continues to let weeks and months pass, consumers will quickly forget about the service. Even with its hefty court bills, Aereo’s $92 million in funding compared to Simple.TV’s $5.7 million and Mohu’s $144,000 should position it to continue make a big impact on the cord-cutting market. Aereo could probably even acquire either company for a fraction of what it spent in court. At the very least, partnering with a Mohu or Simple.TV or creating an entire new service that competes with one or the other seems to be a lot better option that disappearing from the spotlight.